Delivered via UltraZorbe™ 100% vegetarian capsules to ensure potency, eliminate the need for fillers and binders, and provide quick nutrient release through faster dissolution into the body (independent study suggests UltraZorbe capsules dissolve more completely than other vegetarian capsules). Packaging System which is superior as an oxygen and moisture barrier and sets an industry standard for protecting delicate ingredient integrity and effectiveness throughout shelf life. ULTRA is derived from a plant source which means that people with shell fish allergies and vegetarians are able to use this product. 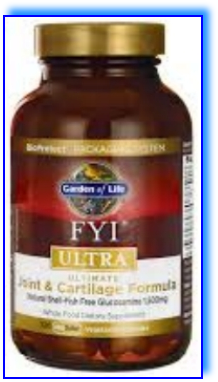 How is FYI® ULTRA different from other joint and cartilage formulas? Contains pomegranate, selenium, natural astaxanthin, and Boswellia to support the body’s capacity to withstand free radical damage in joint and cartilage tissue. Packaging System for maximum ingredient integrity and effectiveness protection. 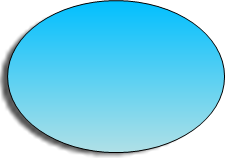 Adults take 4 capsules daily with food. May take 2 capsules twice per day.